I am carrying a conversation from an EPJ post over here to TL where the conversation is now more appropriate. Lefties "feel" for the people just wanting to escape some horrible place and let them in then take from the american taxpayer and give to the new arrivals without any deeper consideration. That's shallow lefty thinking. This is simply poor linkage. There is nothing wrong with having a concern about others ( a "feel") though some people are more sympathetic than others. The problem is one of how those who are sympathetic choose to help such people. It is one thing to allow them into the country so that they can work. It is another to provide them free services so that they don't work and drain the resources of a country. There are many on the left who have no problem with the latter but it is not the "feeling" that is the problem, it is about the best solution for helping those. 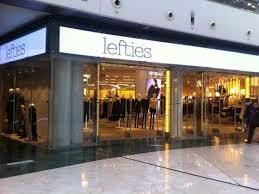 This is where lefties often fail. They just don't think deeply as to what the best solution is and think at a surface level as to a solution that may be a disaster. But caring about those in a tight situation is NOT the problem. Some people care more than others but the care about the greater world by all of us is actually quite limited. Adam Smith explained this is his book The Theory of Moral Sentiments. That said most undocumented entering the United States are not a drain on the resources of the country. I explained this in a video. Thus those who are anti-immigrant are just as guilty of shallow thinking as lefties who want to help undocumented at any cost. Letting the undocumented in is not the problem. stated in my original post that the undocumented are responsible for much in taxes being paid. Landlords pay taxes on where they rent. Businesses pay taxes where they work and in most cases, the undocumented pay payroll and income taxes where they may see no benefit. The commenter distorts my position by stating that I am therefore for more taxes but I make clear in the post I am not for any taxes and that I am merely replying to his incorrect claim that the undocumented are getting a free ride by using government services without paying any taxes. Lefties instinctually know that people with power acrew over people without it, they're just confused about the mechanism. 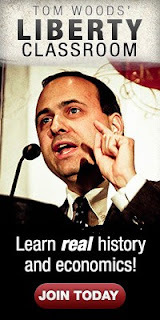 Libertarians need to attune their arguments to the Ledt's sentiments if we want to win them over. The first step is to convince them you care about xyz. They will not listen to any of your arguments if you step on one of their landmines and label yourself an enemy. There is nothing you can say to them about the minimum wage, inflation and regulations that they will hear if they suspect you just don't like poor people. Their minds are boobytrappes. They are AFRAID of understanding our ideas. They think it will undermine their virtue. Unfortunately libertarians have cultivated a nasty habit of dancing on landmines them pointing to the subsequent explosions as proof of our detractors irrationality. It is childish and self-indulgent. We do not win anything by pointing out their irrationality. They are irrational. Stop whining about it and adjust your strategy. Throwing careful arguments at people's feelings is like spraying bullets at Superman. You accused me of shallow lefty thinking. Shallow lefty thinking is taxing A to help B with no concern about the effects. That's what happens when there are more and more people lefties want to help. They don't it with their own resources, they do it by using government. Now you come up with this argument about it being 'right' or 'wrong' to care about others. That's not even in the point I made. The point I made is solely about wealth transfer. It's perfectly fine to help with one's own resources voluntarily. But is it perfectly fine to do it with the resources of others via government force? That's the issue. Not if it's right or wrong to help. I did not write the problem was that lefties 'feel' is the problem either, merely that they do. Once again, my comment is not solely about the undocumented. That's a narrowing you applied to it in an effort to weaken what I wrote. There are costs to increasing the population on the lower end of the income scale in a country with as much that is socialized as the USA and especially in a country where those running, close to and employed by government are so expensive. I think where I live the cost per government school student is roughly $14,000 a year. "Letting the undocumented in is not the problem." 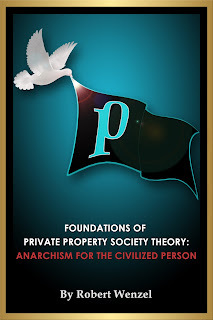 I think I made it very clear that the problem is the state, the wealth transfer, and socialization of so very much. So obviously that problem should be fixed. Once fixed then there isn't much objection to letting people in now is there? But no, we can't fix that, because so many benefit from the position the "undocumented" and other immigrants find themselves in and the general effects on the economy. Those whom it has a negative impact on are dismissed as 'shallow thinkers' or whatever. I did not distort your position nor did I ignore this claim that they would produce enough to pay for the additional expensive government. First, I asked who would pay the additional taxes and you answered with landlords, businesses, and income and payroll taxes paid by the immigrants. Then I addressed it with the fact that without government getting out of the way there won't be the necessary new businesses and growth of businesses that can't avoid taxes to prevent an increase. Thus the existing ones will pay more. Income/payroll tax wise or even all tax wise sure if you pick a narrow slice of immigrants you can find ones that are net taxpayers. Like undocumented men without dependents in the US, those who avoid all contact with government, or the documented that manage to have successful businesses. And that's what you are doing. But on the other hand there are many many more people that are not going to be net taxpayers, like many people born here. Just one government dependent can soak up the tax surplus of multiple net tax payers. The most recent info I can find is a decade old showing 60% of US households are not net taxpaying. Not sure how ratio of low and no skilled or all immigrants is supposed to do better than that unless we only look at specific slice that is cut off from government services or is unusually successful. The accusation that you're engaging in shallow lefty thinking is well-deserved. What you present as justification for your exclusionary thinking is riddled with lefty tropes not least of which is this idea that people should 'share' the load of government equally or equitably to justify their ********existence*******: "Income/payroll tax wise or even all tax wise sure if you pick a narrow slice of immigrants you can find ones that are net taxpayers." What's implied here? That the only worthy people should be those that pay taxes, everyone else is a moocher. Never mind that taxation is not voluntary. Next thing you'll say is that immigrants should not come to the US because their homes are not going to be subjected to the same level of burglarizing as the homes of nice folks who work to have nicer things, as if it were the immigrants' fault there are burglars who want the nicer things. Yes, your contention is THAT ridiculous and deserves every drop of ridicule. That 'most recent info' you found is meaningless. It is but a picture or snapshot in a time continuum; it's not useful to make predictions about what people are going to do or not do in the future, because a 'household' is not immutable. People DO progress. Your point that it would not be possible for people of low skills or "all immigrants" (whatever that simplistic use of the term is supposed to encompass) to achieve something better than the 60% who are not net payers is evidence of two things: one, you deep-seated bigotry, which blinds you to the fact that immigrants are more than motivated to improve their personal lot, more so than the native-born; and two, that being taxpayer doesn't provide anyone with a special status; it doesn't turn you or me into victims, heroes or wise sages, with special insight about who should be born, who should come to live here. If all immigrants left the country upon your say-so tomorrow, it'll change nothing about your condition as a taxpayer. You will still be a taxpayer, a bigoted one at that, but you'll be paying. Except your food and other necessities will be much scarcer, because ECONOMICS IS A B*TCH, Jimmy. "people should 'share' the load of government equally"
I made no such claim. My point is that the way things actually are what results is A paying for B. That's the way things are. What they 'should' be was not discussed. That RW is cherry picking. "Never mind that taxation is not voluntary." Of course it's not. That's why a welfare state plus open borders means enslaving people like me. "Next thing you'll say is that immigrants should not come "
Next thing you'll say is that the little grey aliens will show up and take over the government of Chicago. "as if it were the immigrants' fault"
I've clearly placed fault on the state, not immigrants. If you want to make things good for immigrants, reduce the state. And more people come in filling the bottom rungs back up and then some. If you knew about me, my ancestry, where I work, where I live, in the specific the asinine nature of that accusation would be clear. What you are doing is handwaving away the points I made that you don't like. We live in a socialized country which means that A can impose costs on B through the state. But RW and you refuse to consider fixing it so the state does not do that before having more people in class A. "the fact that immigrants are more than motivated to improve their personal lot,"
Motivation is irrelevant to my point. What is, is. The cart is already loaded up with the "native born" and more. You're just making an argument about who has more right to the fruits of my labor and the labor of those like me. If you wanted to make things better for hard working motivated immigrants you would find my points valid. I don't think hard working motivated immigrants want to pay 40-50% in taxes either. "that being taxpayer doesn't provide anyone with a special status"
I made no argument it does. "it doesn't turn you or me into victims"
Certainly does. victims of theft at the very least. "heroes or wise sages, with special insight about who should be born, who should come to live here." Made no argument of that nature. My argument is fix the state first. The rest is you doing your insult hand waving because you can't deal with the simple practical truth that the more people that show up on the lower end of the productivity scale the more others become enslaved by the state. You don't even seem to care that the immigrants who do succeed will only find themselves similarly enslaved. Yes it is. Do you think those hard working successful immigrants like paying 50% in taxes any more than I do? Do you think they want this endless flow of people to continue with the state in its current form? I know many a hard working immigrant and those I have talked to on the subjects of government, economics, taxes, aren't very far off from my views. Ok, so you start your reply by denying your contention implies that the only people worth existing are net tax payers. I didn't say you made that argument up front and honestly. I'm saying that's what your words imply, whether you accept this or not. I don't care about your background, your ancestry, your genes, the carbon-14 in your bones. I judge your words, your arguments, and they sound like the words of a bigoted loon. If you don't want to be judged that way, stop saying things like a bigoted loon. By the way, just to show you how transparent you are, let's consider this idea that the "cart is full" crap and how it sounds a lot like Marxist "overpopulation" and "we're too many of us!" propaganda. The "cart is already full of native born". That presupposes no resources maximization, in other words: you have to assume NO ECONOMIC activity for your argument to matter! I am not going to say that you're nutty or suffer from mental degradation or sickness. I'm going to assume that you're being serious about what you're saying and thus I tell you: You're either an economic ignoramus, or a big-time exclusionist bigot. So, what's your choice? My argument is not fix the state first, because that's like trying to fix the sea to enjoy fishing. It's nothing more than an excuse to say bigoted things about people (I find particularly grating that part where you place persons in a box for 'people of low skills' just to feel superior to them) while putting this 'oh so reasonable' façade. You fool no one. At least that other loony Lab Manager, that "no duh-versity" clown, is much more comfortable showing off his prejudice and overt racist views. The guy is more honest. Is "OldMexican" really just Francisco Torres back to just hassle the hell out of people with whom he disagrees? I'm may be wrong, but I've never seen Jimmy Joe Meeker as a "lefty" or anything close to it. Who is hassling who? What do you think these dopes who come here to harangue Robert are doing? Just saying "Hello, how ya doin'?" And yes, you are wrong. Did you bother to understand his arguments, the basis for his attacks over immigration? His "they should feel my taxpayin' pain!" rubbish is based on a Marxist trope: the notion that being a taxpayer turns you or me into a kind of time-share owner of the whole country, with the right to tell everyone else who they can hire and invite over. He also has the gall to appeal to having a paradise before immigration can be a thing. Did you even bother to read that? Let me show you. I quote, "But RW and you refuse to consider fixing it so the state does not do that before having more people in class A." You see? He is implying that once **everyone** is made to pay taxes including all immigrants, THEN we can have immigration. Once we achieve Nirvana THEN we can welcome immigrants. Of course that carries no guarantee that Ol' Jimmy isn't going to move the goalposts at some future point and think of another excuse, but right now he wants immigrants to "share the load". Doesn't that sound familiar to you? The other implication in his argument is that RW and I are the statists for wanting unlimited immigration (a grotesque exaggeration meant to scare little children) without wanting to restrict the State first. Jimmy, of course, has it backwards. Libertarians like me advocate for liberty, not for an all-of-nothing approach of eliminating the state SO that we can have liberty. No, every little bit achievable counts. That's why Jimmy's accusation is not just unfair, it is a smear. Like I said, at least that other loon Lab Manager is more sincere and upfront about his hatred of people with more melanin on their skins than him. You can know exactly what he's about. Jimmy is just a hypocrite. Michael, I think you may be correct. Old Mexican, You create arguments, assign them to me, then knock them down. What you refuse to do is debate the points I raised. The USA is a rather socialized nation. This is a fact. Mathematically that means those who are more productive subsidize those who are less productive because productivity is taxed. And some of the biggest ways it is taxed is on a scale that increases the rate the more productive a person is. A socialized nation must be very careful who it allows to join the collective if it is not to fail sooner rather than later. If too many people of low productivity people join the collective it will fail. That is the simple math of the situation. Now I don't like collectives, perhaps you do. Regardless of our like of them or not we (assuming you are in the USA) live in one. As RW has repeatedly pointed out collapse and revolution rarely result in more liberty. Usually it is less. So, our first move should be to avoid collapse. Then we create a immigrant friendly individualist nation. But you refuse to recognize or debate that solution. You want to overload the productive members of the collective to what end? Create an individualist society and it will attract individualists. Create a collective society and it will attract collectivists. But this isn't anything you don't already understand. You know exactly what present conditions attract. And yes, you do need to have a healthy sea or lake or river to enjoy fishing. Do you not know what happens to such commons under collectivism? They are over-fished, polluted, destroyed. Their ability to produce destroyed. The productive life in them dead. Much the same is true of collectivist economies. So if you want limitless immigration then you need an individualist society. Otherwise you will have groups of people fighting over political plunder or the very least not to be plundered. Well until the whole lake catches fire. Still making arguments for me you can knock down in your reply to Michael. Of course they are nothing like what I argued. They are your creations, out of you reading inferences between the lines, your imagination. You even pull quotes out of context and substitute your own context. Why is that? If you want to fix the issues of immigration agitate for an individualistic society to make those issues go away. But you aren't doing that? Because why? You simply agitate for no restrictions on immigration while not caring one bit about the state's wealth transfers. You've explicitly written that disregard. I haven't called you or RW statists. Torres is a statist pretending to be a libertarian IMO, so if you're not Torres this complaint seems rather odd. However, you want to allow limitless numbers of people who can and many will make claims for resources through the state and agitate for more. They do so today. This will result in a bigger state that takes more. You don't make an argument that it won't. RW attempts to argue the immigrants will pay for the growth of the state. Even if they do, the state still grows. How are you going to achieve liberty by -growing- the state? How? Growing it until it breaks? Until collapse and revolution? But the argument there is that is usually bad for liberty too. So how are you achieving liberty here? As to your hypocrite claim, you are again playing an unfounded racism card as lefties do when they don't have a rational counter argument. So I ask again, how are you going to achieve liberty by bringing in people that on the whole will result in a larger and more expensive government with more reach? How will you achieve liberty by the state growing to the point it breaks and revolutionaries take hold? Tell me. Convince me. No, you'll just call me a racist in an attempt to make me shut up. Just like a lefty would. Until you can formulate an argument for how this all comers immigration policy results in a smaller state and more liberty for all of us, not just those who arrive, I'm done with this exchange.